Change must begin somewhere – let yours start here! By now, most of us on a journey of growth and change have heard the term “authentic self” and yet I feel aware that there is confusion about what it means. We throw around the phrase ‘who I am’ or ‘my true self’ so much so that there seems to be an expectation to develop a clear definition, a palpable understanding or a clear vision of what that means. I will sometimes use the analogy for “authentic self” of a Totem pole – the center of our being that is carved of love depicting values, dreams, and hope. Our daily behavior is kin to a dance around that Totem pole; honoring the carvings. When we dance (behave) too far a distance (inconsistently) from the pole, we allow space for anxiety, depression, and dysfunction. When we stay close – become a ‘pole hugger’ – we are living authentically. I’m not sure many of us are ‘pole huggers’ consistently… that thought brings up images of Mother Theresa and Gandhi. I believe that emotionally healthy people dance pretty close, sometimes holding on to, the pole. Learn to notice the FEELING both mentally and PHYSICALLY as you dance through your day/week/month and purposefully repeat the behavior that signifies you are close to your personal Totem. 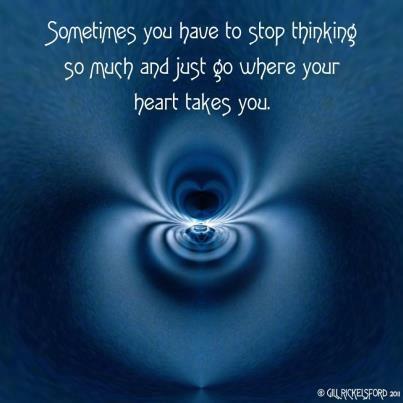 When you begin to feel down… examine your actions and reactions! Experiment with change until you FEEL yourself getting closer to the pole. Keep a diary to help you indentify behavior with feeling. Self-discovery is often about feeling versus knowing. Learn to FEEL when you dance and you will develop the ability to answer the question “who am I?”; you will know your “authentic self”.